I have allergies, but I find the Aveeno products to work well for me... they don't leave that "coated" feeling on your face, AND they're not that expensive either! Hi Deborah! I agree with you about using a tinted moisturizer helps over 50 skin (I just turned 40 and I use it). Also, if you can find a good highlighter, it helps to have a touch in the corner of your eyes, and also use it under the eye in the crease. Also, as you said, avoid heavy bright metallic and dark eye shadows. Those are my best tips (I used to be the assistant cosmetic manager at a Nordstrom cosmetic department for 6 years). You are completely right. There are many drugstore products that work just as well (sometimes better) then the expensive items. Drinking lots of water and staying hydrated is always great for the skin too. I think you have great tips! Hope you had a lovely Easter! Well let me jump in for the 60+ women that may comment. (or you other gals who will see this number on your odometer eventually any way;-) I use Avon Anew Platinum, formulated for the aging skin of the 60+ woman. I changed to a cream blush a number of years ago because powder made my skin look dry and snuck into little fine lines. Mascara always gave me grief and I have my blond eyelashes dyed once a month with a vegetable based dye. Eyeshadow gathers in the creases so I rarely wear it any more and try to think positive that my aging face shows character with may life lines of experience. I've just switched over from a foundation to a tinted moisturizer and discovered a really good sunscreen. I've added Retinol to my anti aging arsenal and coincidentally just published a post to that effect. Less make up is definitely better for my almost 60 year old skin! i am with you on the eyebrows though and have a Jane Iredale brow kit that I use everyday. Thank you for the book review and I am looking forward to your thoughts on the book about French women not having face lifts. Hi Deborah, thanks for giving these tips. I use eye cream from Keihls and I used to use Clinique cream in the yellow jar for my face but changed to CeraVe from a sample I got from the dermatologists office and loved it. It is not expensive and works great. Maybe I will do a blog post on that for MM! For the eyebrows I have blonde hair and my eyebrows are starting to disappear so I fill them in with a brow pencil from the makeup line from YouTuber Michelle Phan. My daughter introduced me to her makeup for Christmas and she also has a great concealer that has many different shades as under our eyes are different from summer to winter. I am going to order from Avon tonight a BB cream that has SPF of 15 and see how that works out. 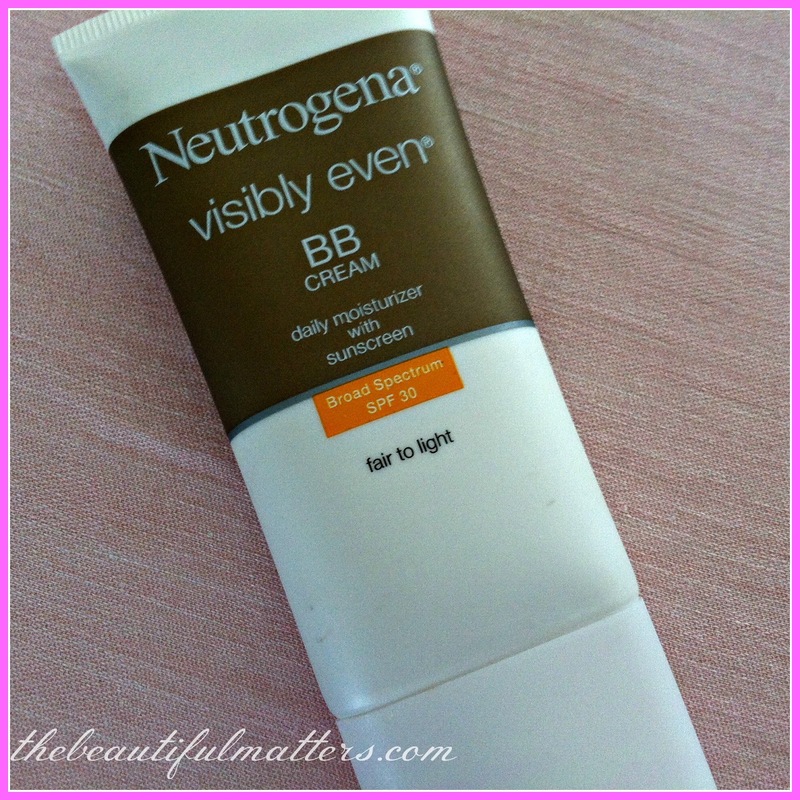 I think that I will pick up this BB cream by Neutrogena that you are recommending too! 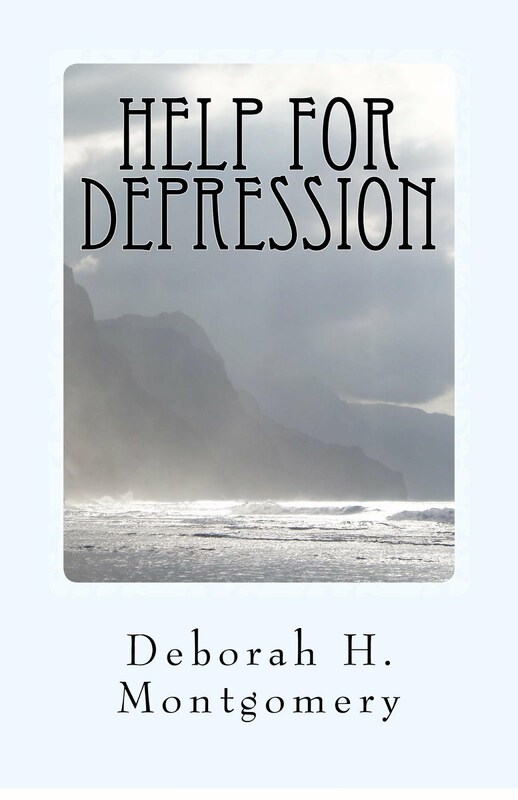 Thanks for sharing all these tips and I look forward to your review on the other book. Take care. Interesting discussion, Deborah. I use Clean and Clear to wash my face, and in the morning I apply salicylic acid (still acne-prone) and Olay complete defense, a moisturizer with spf 30. I reapply that or other sunscreen periodically. 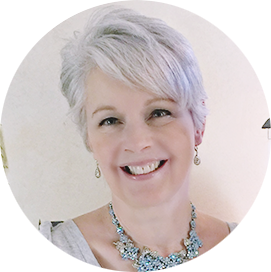 I use Retin-A (retinoic acid) every night; I think that is one of the best anti-agers available. For makeup, I like the mineral powder (right now it's Mary Kay but I've also used Bare Minerals). I use mascara and lip color (gloss - my bad???) and brow color. I recently received one of those battery powered cleansing brushes and I like it. I feel facials are beneficial and go periodically but not nearly as often as I'd like to, due to cost. Overall, though, I like my routine and think it works well for me. I'm enjoying the comments. And this one is perfect...not only can you look more beautiful with a smile, you can cause someone else to be beautiful, too. That's amazing! Great comment Wendy! Hugs! Thanks for all the comments ladies, and all your tips. A smile is like an elevator, haha, lifts our faces and our spirits!! What a very informative and interesting post Deborah. I am very much a beauty junkie too so I have tried everything from drugstore brands to high end and I am in the middle with my opinion. I do agree that less is more as we age but as far as serums and creams, it is a matter of preference. I have been using the moisturizer for years. It is expensive but it really works for my skin. I like coverage with my foundation so I use Bare Minerals. A bit of lipstick, mascara an I am good to go. Love to drink lots of water to keep my skin hydrated and I am trying to eat more fruits and greens. But I do not get eight hours sleep normally. I am working on changing that however. 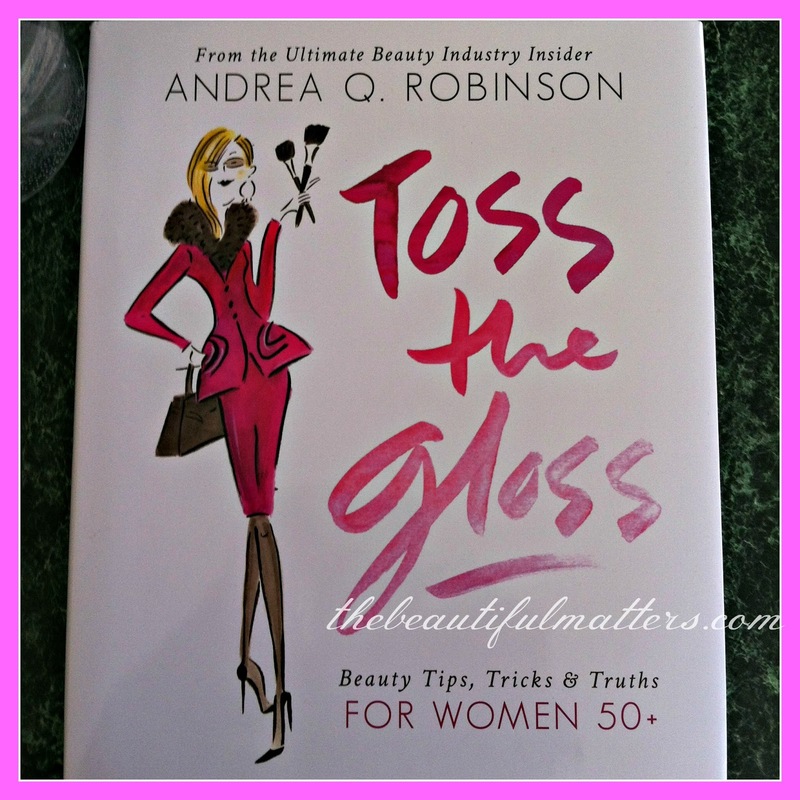 Thanks for the book review and the great beauty tips. I should d a few beauty posts too. I love the topic. This was such a timely post for me. I am in the throes of needing to make a few beauty changes. I just got in from a shopping spree buying new moisturizer, night cream, foundation, etc. I am needing to concentrate more on skin care than on makeup. This is all new to me. Until a few months ago, with little effort, I was very happy with my skin's appearance. Suddenly, I am fighting breakouts. I am going to be diligent about my skin care, and if that doesn't do the trick, I will be in the dermatologist office with teenagers fighting acne! I am also experimenting with a new shade of hair color. My hair is going through changes, also. Thanks for the book review. I am glad you shared the major tips you got from reading the book. My tip has already been mentioned: as someone who used to be a department store cosmetic shopper (many years ago), I can honestly say that many of the drugstore brands have improved so much and are now on par with more expensive cosmetic lines. It may take a little experimentation, but what you need is out there. I've always had sensitive skin ( redhead ) so I have never been able to use heavy moisturizers. And what I find completely unfair is that.. I now have someone else's eyelids...as I woke up one morning and they changed, my hair has been changing and going awry, there are puffy circle things under my eyes, I am getting wrinkles but if I use a heavy moisturizer I will still break out !! ? Now that is just not fair. LOL ! So I use and have used Neutrogena cleansers and moisturizers for most of my life and in the last year I did find a heavier one that I can use in addition to the light Neutrogena, and it is the Bare Minerals for Combination skin. Thanks for the review and tips, Deborah. I have "French Women Don't Get Facelifts" but haven't finished reading it yet. I'd love it if you reviewed it some time. I've also enjoyed all the commenter's tips. Thanks for sharing everyone! Great review and smart tips, Deborah. I practice most of what you mentioned, and I agree 100% that less is more. Women should not wear dark or heavy makeup after a certain age. It only ages us more. I also agree with eliminating sugar, including flour. I have it, but not on a regular basis. Since I started juicing in the morning, cut back on sugar, and completely eliminated beef and pork, I have felt better than ever. Drinking plenty of water is a must too. For me, the most beneficial contributor to beauty and good health is avoiding stress and making sure our spirit is well fed ... seeking peace, forgiving offenses, and guarding our heart. I found this post very interesting & informative. I have given up under- eye concealer because what I saw in the mirror was worse than me with no concealer. You're right , "one less thing". I have also found so many beauty "experts" discouraging and flat out liars because they talk about how they maintain their youthful appearance, sell books because they look the part, only to find out they use plastic surgery as their main beauty regime. I am very interested in information on practical ways to make the best of what I have appearance -wise without surgery or having to be a slave to a hairdresser / beautician. Your post helps a lot ! I use Cera VE and Mario Badescu cleanser, Skin Actives collegan serum & Awakening night time cream.Cera Ve SPF15 moisturizer and Lumene BB cream, Avon brow pencil, clump crushes mascara, powder blush...I have oily skin. Among the excellent points in your post... inexpensive drug store products may be just as good as (and possibly better than) their department store counterparts. Many luxury brands are owned by, and manufactured by, the same companies that produce mainstream brands; their products use the same ingredients as the cheaper versions. And product efficacy may vary widely throughout a single brand; it may offer terrific products alongside some clunkers. Most review sites rely on the highly subjective opinions of users. For independently researched reviews I rely on http://www.beautypedia.com , a name many of you will recognize. Paula Begoun's research team has vetted thousands of products for safety, efficacy and value. Although by no means perfect, this is my go-to site for product analysis, and it has saved me thousands of dollars over the years!